ALBUQUERQUE, NM (KTRK) -- Your beard could be as dirty as a toilet, research finds. ABC affiliate KOAT-TV swabbed the beards of several New Mexico men, finding a surprisingly high amount of bacteria -- including some of the same bacteria found in feces -- thriving in the men's beards. "I'm usually not surprised, and I was surprised by this," said Quest Diagnostics microbiologist John Golobic, who was commissioned by KOAT to run the tests. A beauty pageant for beards? Yep, they have one, and these gents with fantastical facial hair all competed in this year's Just for Men National Beard & Moustache Championships in Nashville. 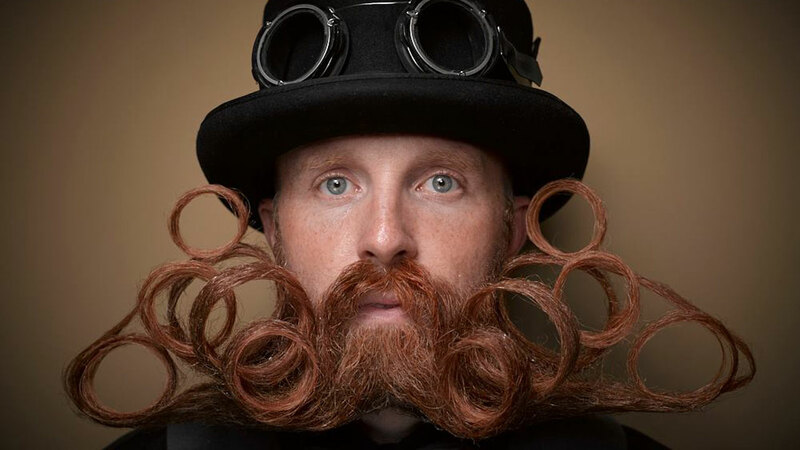 Check out this collection of photos featuring America's most beautiful beards and wildest whiskers! Golobic added that some of the same bacteria found in the beards could cause a shutdown of a municipal water system. If you'd like to keep your facial hair cleaner than a toilet, Golobic recommends washing your hands and thoroughly scrubbing your beard regularly. "[Also], try to keep your hands away from your face, as much as possible," he added. A local man is getting into the "hair game" with his beard oils and balms that aim to keep away the itch and promise softer, shinier beards that smell great too!